What is low, high and peak season? How far in advance can I reserve a property? Properties may be reserved as early as a year in advance. Bayside does give our previous year’s renters priority to rebook for the same dates. You may view property availability on it’s profile page. We are constantly adding new inventory so be sure to keep checking our listings or contact us to find you an accommodation that suits you best. How accurate is the availability calendar? Our online booking calendar is frequently updated, however availability changes very quickly. As a result we can only confirm availability once we receive your reservation contract. How do I book the property? A Bayside Vacation Rental representative will provide you with a detailed breakdown of costs, taxes, and optional vacation add-on’s (i.e. airport transportation, grocery concierge services, tours, etc). We will email you our rental contract for review and completion. Once we receive the completed/signed contract the property will be on hold for 48 hours pending payment of the reservation deposit (or full payment, depending on the timeline of the reservation). How much do I pay to reserve the property? The majority of our Huatulco properties are priced in USD. 50% of the total rental price is due within 48 hours from the time of submitting the rental agreement. Bookings shall be confirmed by email by the Company on payment of the deposit. Receipt of any deposit prior to the Company’s written confirmation of the reservation shall not constitute acceptance of any booking. All payments shall be made to the Company by credit card, email money transfer, wire transfer or in cash. The balance shall be payable 90 days prior to to the commencement of the holiday. The balance shall be payable 30 days prior to to the commencement of the holiday with the exception of Christmas & New Year’s. What are the additional fees I have to pay? Additional fees include a non-refundable damage insurance fee of $55.00 USD. This fee has been included in your quote and replaces a security deposit which eliminates having to put up a security deposit or deal with having your deposit returned when you get home. Return home with vacation memories, not repair costs. We also charge for electricity usage during your stay. We take both an initial and final electricity read when you arrive and check out. The electricity payment is charged to the credit card on file when the out meter reading is taken or in pesos upon check out. Should I obtain travel cancellation insurance? Yes, we recommend purchasing trip cancellation insurance as it provides you with coverage for unforeseen problems, from a cancelled flight to a serious illness—or in rare cases, even an act of terrorism or the financial default of a travel supplier. If an illness, accident, or other covered unforeseen circumstance forces a traveler to cancel or interrupt their plans, they face two major financial losses—money invested in nonrefundable pre-payments, and medical expenses that in many instances may not be covered by health insurance. If you choose not to purchase trip cancellation insurance we will attempt to reschedule the property for you. If we are unable to reschedule, any payments received will be forfeited to Bayside Vacation Rental. Cancellations should be in writing and are effective from the date we receive and acknowledge your fax or email. • Cancellations made from day of confirmation until 120 days prior to arrival – 20% of the total rent as cancellation fee. • Cancellations made 119-90 days prior to arrival— 50% of the total rent is non refundable. • Cancellations made 89 days or less prior to arrival — 100% of total rent as cancellation fee. • Cancellations made from day of confirmation until 90 days prior to arrival — 20% of the total rental as a cancellation fee. • Cancellations made 89-30 days prior to arrival — 50% of the total rental as a cancellation fee. • Cancellations made 29 days or less prior to arrival — 100% of total rent as a cancellation fee. How do I find the property upon arrival? The property information package will also be in your property upon arrival, however we encourage you to print the direction portion of the package to ensure quick and easy arrival to the property. Where do I pick up the property keys? Our property manager will meet you at the property to provide access to the property upon your arrival. They will provide you with a set of keys for your stay and will answer any questions you have about the property. If you do not plan on going straight to the property upon arrival you must notify the property manager in advance. This will ensure the property manager properly schedules their arrival with yours or provides an alternate way for you to obtain keys upon arrival. Check in is 4:00pm and check out is 11:00am. This ensures enough time is left for same day arrivals as the property will need to be cleaned and prepared. If you’d like a late check out please let us know and we’ll do our best to accommodate. However if we have a same day arrival we will have to honor the 11:00am check out time. You are welcome to use the property’s on-site facilities until you depart. We are happy to offer airport transportation to and from your property. Our driver will pick you up and have a sign with your name on it. He will get you safely to your property in a comfortable air conditioned vehicle. Please contact us for pricing. Alternatively, there are many taxis at the Huatulco Airport that will bring you to the property for approximately 400-450 pesos. All of our properties include linens, towels and essentials for your stay. We recommend bringing your own shampoo, soap, sunscreen and other toiletries as they are not provided. We provide a starter kit of household supplies only (i.e. toilet paper, dish soap, etc). If you think you will need more than what is provided, you may purchase the at the local grocery store. Can I have guests visit the property during my stay? This will depend on the property you have chosen, as each property has a different set of rules & regulations. It is very common that properties do not allow guests of renters to use common areas including the pool. All guests must be registered with Bayside Vacations. The maximum occupancy details are clearly stated on the property profile and will be included in your booking package. Please see our terms and conditions for our policy on exceeding this maximum number of guests. Cell service is available throughout Huatulco – check with your service provider for rates. Cell phones and landlines are not generally provided in our properties. 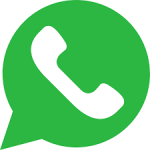 *Tip: if you have a cell phone plan during your stay download the ‘Whatsapp’ app. Add the contact numbers for the taxi (be sure to enter + 52 1 as the prefix) and you’ll be able to message your taxi whenever you need to be picked up. Bottled water is not provided. You should plan on provisioning for this for the duration of your stay. We invite you to take advantage of our pantry stocking service prior to arrival, which will allow you to order bottled water. Can I cook and wash vegetables with tap water? Yes you can both cook and wash vegetables with the water. For extra provision you can purchase iodine drops in the local grocery store for washing your vegetables. What do we do if there is construction or neighbor noise during our stay? The reality is that with any property there are neighbors and construction projects nearby. Some of the properties we rent are in developments that are still under construction. Please check the property description for details on the properties with construction on-site. There is very little we can do to predict or control the noise factor and we cannot control or be liable for noise or disturbance caused by occupants of properties adjacent to or near the subject property, or their family or guests. If you are having excessive issues during your stay for any reason please communicate with either the property owner or local property manager to assist you in resolving the situation. What if I don’t like the Property when I get there, will you move me to a different one? We want you to enjoy your stay as much as possible. However, we are not able to move you to another property, or make any refunds or discounts, if you are dissatisfied due to your contract with that particular property. Please ensure you preview the property before entering into the contract. Will I be disturbed during my stay? During your stay it may be necessary for repairs, exterminating, or other service providers to enter the property. We will attempt to provide you with a minimum 24 hours notice. Entry is required for property preservation for you, future tenants, and the owner, and cannot be held off, denied or rescheduled. In addition, if the property is for sale we may need to show the property to any potential buyers. We regret any inconveniences this may cause but we promise to keep them to a minimum. How does satellite TV and WIFI work? Each of our properties varies in internet accessibility. Some properties offer private WIFI and some are shared. Please refer to the property profile for details on the specifics. We cannot guarantee signal strength during your stay. WIFI is not the same as back home. Is my vacation property cleaned daily? Our properties are cleaned before your arrival and after your departure. You can request a mid-stay clean at an additional charge. A mid-stay clean includes: cleaning all the bathrooms and the kitchen area, vacuuming and dusting, sweeping and mopping and making the beds (laundry is not included). Are the properties wheelchair friendly? Some developments are built on a hillside and will have some incline/decline within the development. Some properties are wheelchair friendly and have elevator access, however this is not the case for all properties. Please ensure you check before you reserve. Yes, all of our properties are non-smoking. Please check on smoking designated areas for the development you have chosen as it will vary. What if I want to stock my property with food items before arrival? We recommend using our pantry stocking service, saving you time on your hard-earned vacation and allowing you to settle at the property without the trouble to go to a store first. Alternatively, there are a variety of supermarkets nearby to our properties for guests who wish to have their favorite snacks and meals on-hand and in-home. You may view our grocery service form online. We request this form be submitted a minimum one week before arrival. What will I be responsible for at check out? We ask that you please lock all windows and doors, turn off all ceiling fans and air conditioning units, make sure you did not leave any items behind (check the safe!) and place all perishables in a closed trash bag and dispose them properly. What do we do if we have an issue with the home? During regular business hours you may call 587-329-2100 (Canada) or + 52 1 958-587-4543 and speak directly to one of our team members. All issues will be documented and addressed in a timely manner. To ensure your piece of mind, we additionally have a representative on-call to deal with any emergency situation within your vacation home property, outside business hours leave us a massage at +52 1 958-116-6553 or send us an e-mail to info@baysidehuatulco.com. What if we want to rent the same property again next season? If you wish to rent your unit again for next year, please let us know as soon as you can after arrival to ensure availability. We do have to make the property available to others until a reservation is confirmed and cannot be held responsible if your unit has already been booked and is unavailable to you. We book 12 months in advance. At Bayside Vacations we know that you have concerns about how your personal information is shared. We are committed to ensuring that your personal information is secure at all times. The personal information you provide will only be shared with the appropriate third parties necessary to complete your purchases. This includes the vendors we have selected (e.g., third-party insurance companies,) as well as the third parties facilitating the transactions (e.g., credit card authorization companies). The personal information we provide these third parties will ONLY be that which is necessary to ensure your travel arrangements are successfully confirmed and executed. Whenever you provide sensitive information (for example, a credit card number to make a purchase), we will take reasonable steps to protect it and will take reasonable security measures to protect your personal information in storage. Credit card numbers are used only for payment processing and are not retained for marketing purposes. Can you help us purchase real estate in Huatulco and area? Absolutely! We have experience assisting individuals and families purchase property in Huatulco and area. Contact our sales department at info@baysidehuatulco.com or fill out our ‘Find Your Dream Home’ form and one of our sales associates will get back to you shortly.